When installing a new swimming pool, homeowners often find themselves deciding between a gunite and fiberglass swimming pool. Gunite swimming pools are typically preferred by homeowners who are seeking a uniquely custom, designer pool. Fiberglass swimming pools are often preferred by those who desire less maintenance. There are also other differences. Read on. 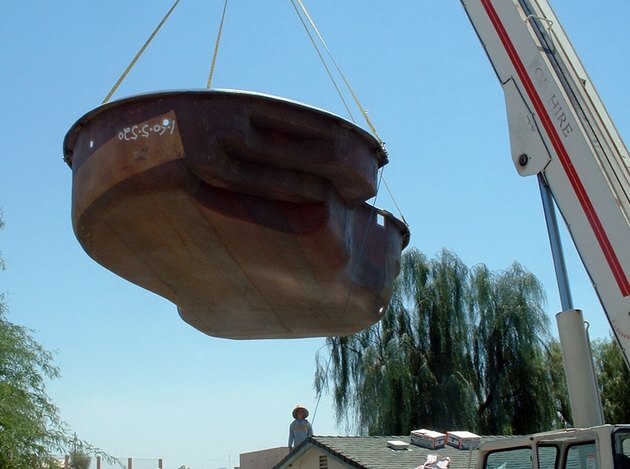 Bringing in the fiberglass pool. Compare prices of the gunite vs fiberglass. Fiberglass swimming pools tend to be less expensive than gunite swimming pools. If your budget is a priority, you may prefer fiberglass. Design your swimming pool shape. Fiberglass swimming pools now come in a wide array of shapes, sizes and colors. But if you want a custom-designed swimming pool, you may decide that gunite is the best choice. Investigate the warranties. Some fiberglass shells have a lifetime warranty. Yet, you need to discover what that really means. Lifetime warranties definitions vary from state to state. Remember that the value of the warranty depends on the issuer’s ability to honor the warranty. Ask who is issuing the warranty, the contractor (who may be gone next month) or a company that has been in business for many years. Ask yourself if you want a spa. Traditionally gunite swimming pools are more adaptable to the concept of a built-in pool and spa. Yet, some avid spa owners prefer to keep the spa and pool separate, as it makes it easier to heat and use the spa year-round. Look at the calendar, and decide if you are in a hurry. Fiberglass pools take less time to install. Not long after the hole is dug, the pool is delivered and lowered into the hole. Get out the tape measure and decide how deep you want your swimming pool. If you want your swimming pool to be exactly as you envision its shape and depth, you will have better luck choosing a fiberglass pool that fits your needs and allows you to see what it will look like. With a gunite swimming pool, there is no guarantee the depth or shape will be exactly as you specify. Consider the comfort of your feet. 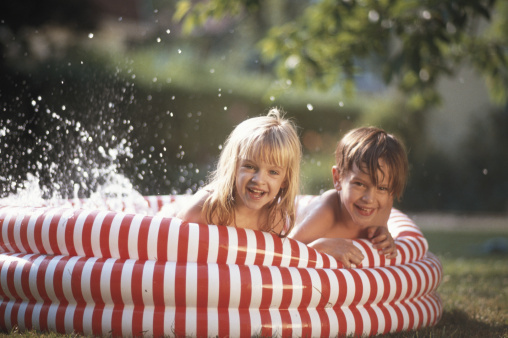 Gunite is rougher, and can make the bottoms of your toes raw when playing in the pool. Fiberglass is smoother and less irritating for sensitive skin. Investigate what the warranty and repair policy is on cracks when shopping gunite pools. Cracks in gunite pools are not uncommon, even with a swimming pool that is only a few years old. Does a Pool Add Value to a House?